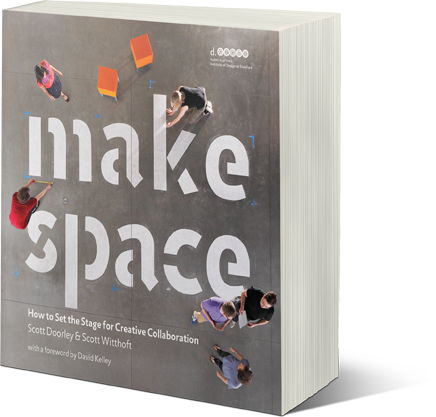 At last year's AIA 2012 Conference in Washington DC we add a new book to the Centric Design Studio library -it is called ‘Make Space‘ by Scott Doorley & Scott Witthoft. 'Make Space' is designed as a tool for helping people intentionally manipulate space to ignite creativity. This book is full of ideas on making a great working space. 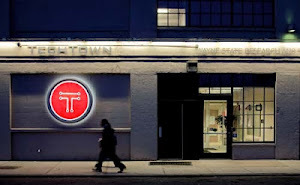 Centric Design Studio used one technique from the book on our work with TechTown's new Co-working space Junction 440 called Situation_Hiding space on page 132. Hiding places offer a crucial respite from an open, collaborative environment. Few offices have legitimate hiding places; if your space lacks one, people will go elsewhere to find it. This book gets two "Thumbs Up" from Centric Design Studio!